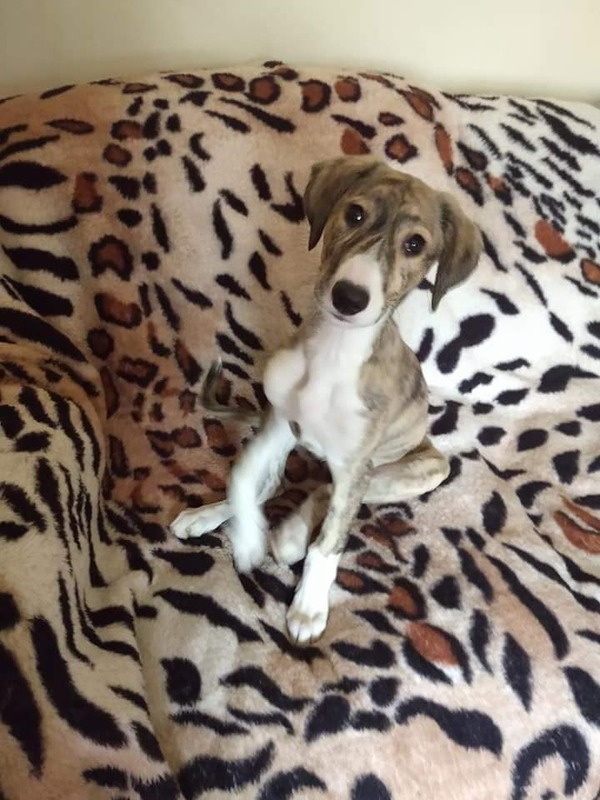 Poppy is one of Hopes puppies and is now 16 weeks old. We did have a home lined up for Poppy but sadly due to an illness in the family they had to accept that it was not the right time. Poppy is an absolute darling and currently in foster with a large dog, small dogs, cats and chinchillas and gets on well with them all. She can be quite a strong willed little lady so she needs someone willing to invest in her training. As the puppies are so young we will be looking for a home with someone around all of the time to begin with so no homes where all members work full time. 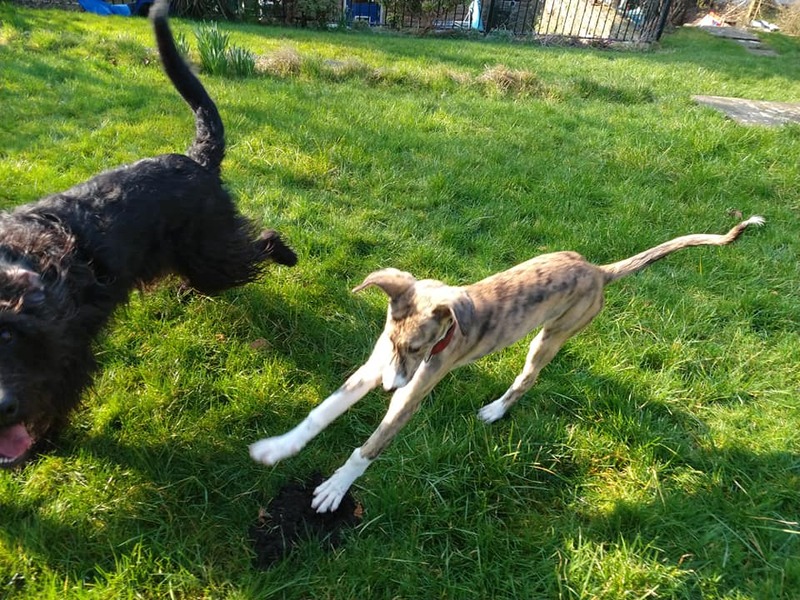 They are still learning and focussing on their housetraining and her foster home has put a lot of effort into her and we don't wish for her to be set back. 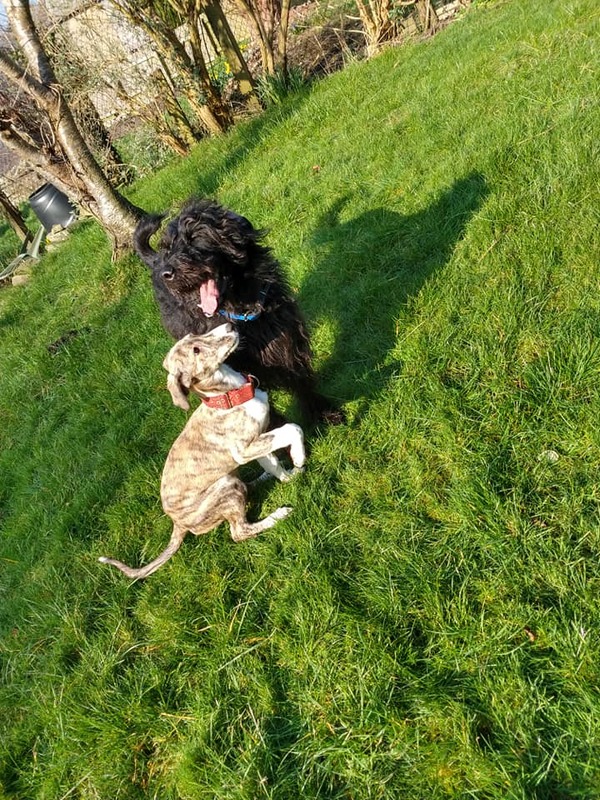 Poppy adores the other dogs and is much more settled with them around and when she is able to curl up and sleep with them so we feel a home with another dog in would be most preferable. A male companion would possibly be best but if it were a female it would need to be quite laid back and not phased by a bossy younger lady coming in and perhaps making an attempt to take over as she grows and matures. Poppy is so intelligent and learns very quickly, she is good on lead, housetrained and travels like a dream. 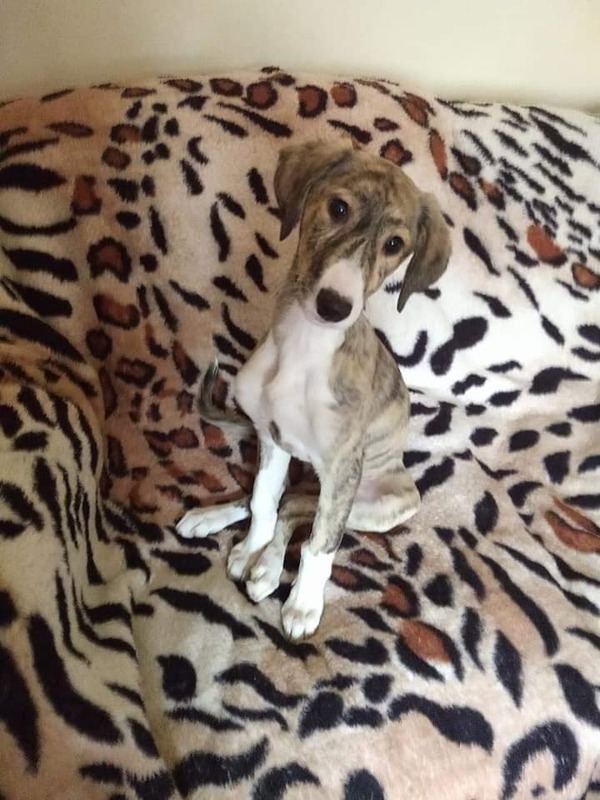 Poppy can be rehomed with dog savy children and we do not place an age restriction onto our puppies however any home needs to understand that pups will go through nippy stages as and when teething and growing and need to be sure this will not cause their children distress and they can handle the two together. Poppy is vaccinated, kc vaccinated, de flead, de wormed and chipped and is currently in foster in Lancaster. Poppy can be rehomed nationally subject to a home being willing to travel to meet her with all residents and any current dogs. 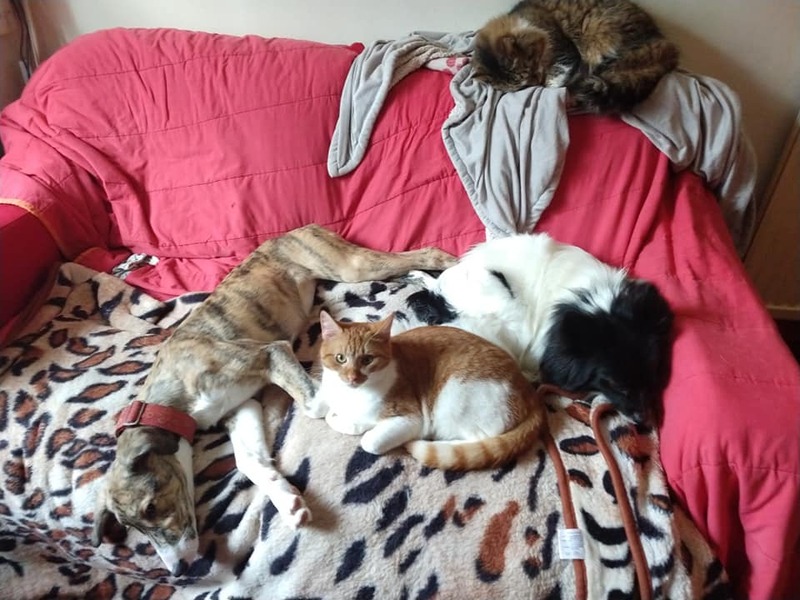 Poppys new family must commit to undertaking her neutering at an age agreed between ourselves and them and proof to that effect must be provided back to us as a rescue.